Opinion: BOI/BOC/PB fiasco, Are board positions worth fighting for? 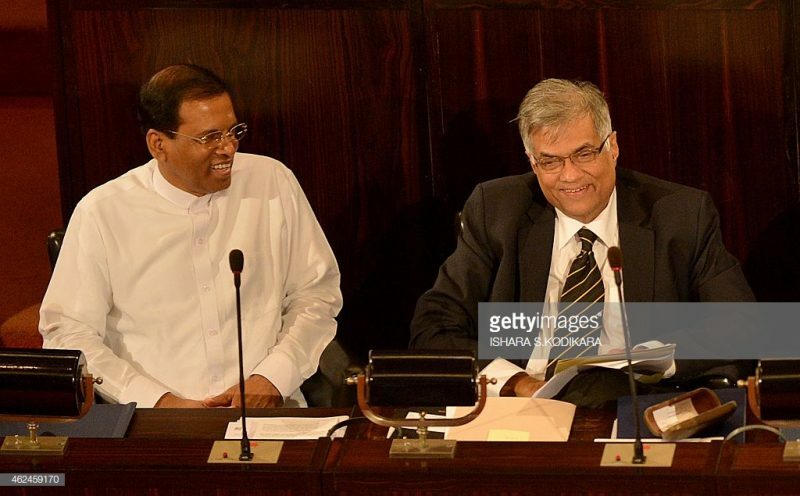 October 19, 2019 (LBO) – Thursday morning the Colombo business community woke up the news that President Maithripala Sirisena had given instructions for the dissolution of the boards of directors of the Board of Investment (BOI), Bank of Ceylon (BOC) and Peoples Bank. After the news broke there was much speculation on the legality of such dissolution. Can he do this?… was the refrain from many UNP minded media voices. Legislation was highlighted that the boards of the institutions are to be appointed by the line minister. Negotiations emerged to protect the directors of these institutions from losing their positions. Lines were being drawn in a political battle over the existing directors of important state institutions. The real question one should ask is why? Are directors of these institutions entitled to permanent positions and the perks that come with them? Are these individuals so necessary for the functioning of these institutions that removing them would cause grave harm to the state? Are these positions really worth fighting a high pitched political battle over? Whether he has the legal authority or not, the President of Sri Lanka, the highest elected official in the land, has requested that these boards be reconstituted. There are plenty of highly qualified professionals who can be appointed to fill these slots within weeks if not days. The Banks/BOI are run by teams of professional management that would hardly be affected. It could be business as usual within a few days with no political crisis. It seems obvious to this writer that the directors of these boards should inquire from the relevant authority whether these are the President’s instructions, and then if these are the case, tender their resignations and move on. The PM, and the President should then collaborate and appoint new boards to these institutions. Problem solved. Otherwise we can enter into a political war between the President and the PM over a minor issue. The functioning of these institutions will be disrupted. The next battle will erupt and the whole government may freeze up. All for what exactly? There are at maximum 14 months to go before we will have the next Presidential election. It makes sense to de-politicise state institutions in the interim. The President’s instruction, although abrupt, is not unreasonable. In fact it is his duty to do exercise his powers in the best interests of the nation. If it is his prerogative that the boards of these institutions are dysfunctional, then he must act.